The scope of activity of the "Dăncuraş" Rescue Service is the Hăşmaş mountains, Gheorgheni and Gurgiu snow-covered mountains. On this territory we find a 240 metres long indicated tourist route, around 100 rock climbing routes, and more than 100 sport climbing route; their maintenance falls within the competence of the Rescue Service. There are also seven ski runs, where these team members are on duty. Rescue Service operates in this region from 1977, which founders are Wild Ferenc and Páll Tibor. This team was recruited from enthusiastic mountaneers; to 1989 the team was sponsored by the Harghita County Council, from this financial assistance was financed the education of the specialists, the construction and mending of the rock climbing routes, and the maintenance of the touring routes. The team members were constant participants of several national and international rescue competitions. The year of 1990 brought changes also in the life of the rescue service, but unfortunatelly negative ones. They got no more financial assistance from the County Council, the tourist traffic slackened, and the unreasonable lumbering destroyed several tourist routes. In the following years the rescue service found no support, but it did its duty due to the goodhearted volunteers. 1996 the service was reorganised and under the name of "Dăncuraş" Rescue Service became an independent, non profit organisation, then gradually it regained the financial assistance of the County Council. 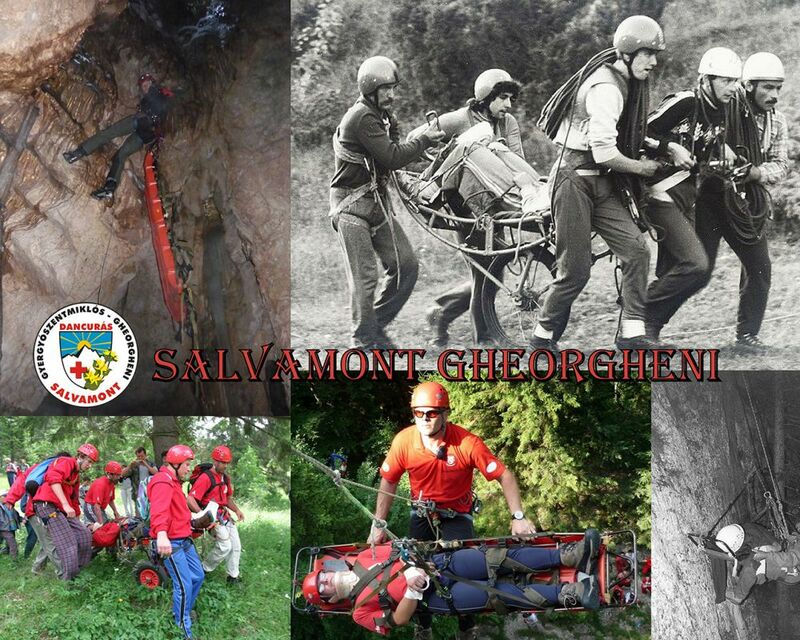 From 2002 the city council of Gheorgheni employs two professional rescuer.